While we still don’t have a PC release date for Red Dead Redemption 2, and are unlikely to get one—at least until the game has launched on consoles in October—it feels like a fairly safe bet that it’s going to happen. So, with that in mind, let’s jump in and have a look at the towns and areas that we can expect to see in Red Dead Redemption 2. From Valentine, a town looks to be the home of every cowboy cliche, with ranchers, gamblers, outlaws and cowboys, all looking to make some quick cash and move on, to Annesburg, a poor mining town with a high death count and little room for comfort; each area has its own unique look. 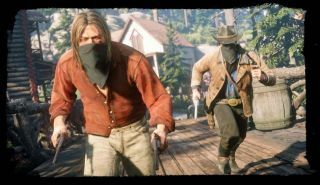 More information on all of that can be gleaned from the Rockstar website.